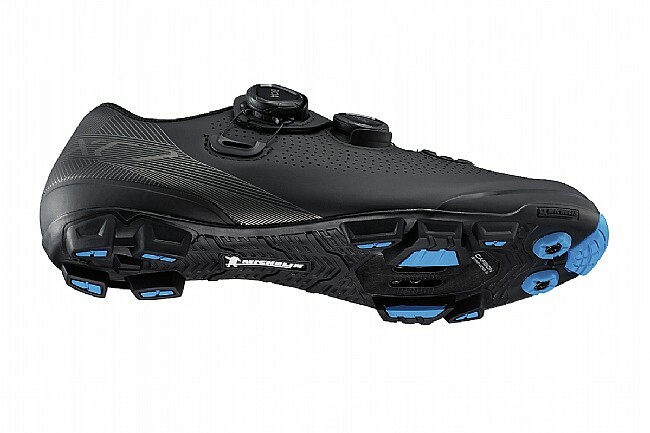 Shimano’s XC701E MTB Shoe is an E-width off-road racing shoe that balances comfort with performance. Its made of supple high-density synthetic leather that hugs and conforms to riders’ feet. Perforated ventilation throughout the shoe keeps things comfortably cool. For easy adjustment and a secure fit, this shoe is equipped with dual independent Boa® L6 dials and an adjustable powerzone wire guide. The optimized toe-spring section facilitates a smoother, more energy-efficient upstroke which helps reduce energy loss on long rides so there’s more in the tank for that final sprint to the line. Heavier and more flexible than I thought!! Heavier and more flexible than I thought, I bought them to use for gravelpave riding and cross racing and found them unsuitable for my use however all was not lost my wife likes them for the same uses. Shoes seem to be well made and comfortable. Order your size, these aren't made small, toe box is roomy too! I have a high arch, these don't have the arch support I would need, but that's not unusual. I also have a high in-step US 8.5, and there was plenty of room to get these shoes on. I mention heel, because there is a material used in the heel pocket that resembles a fish scale. The scaling faces down toward the heel acting as a heel hold down. The heel slides in easily, but the scaling holds the foot in... pretty cool! I wish I would have ordered a half size smaller, but for my riding, these are fine. I use these for road, gravel, and when they get ugly, they'll be my MTB Shoes. Not many miles on them yet. I bought the wide because of recent toe joint replacement on both feet. I am still working with getting the shoe to fit comfortably and recently added a cushion insert. Put several long rides in on them including Pisgah climbs and knarl. Easy to use and look neat but wish the insoles were more supportive. 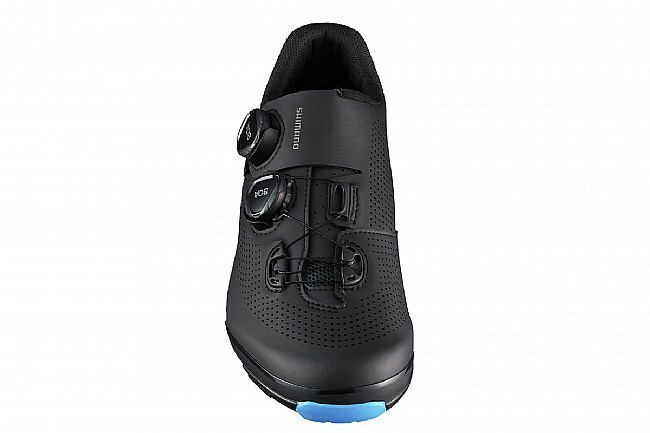 I got these for gravel bike riding, so I wanted a stiff road bike shoe with a treaded sole and these are. I have a duck foot shape i.e narrow heel and wide at the forefoot with a overall lower volume foot and these fit great. The glossy finish makes it easier to clean. One thing kinda wierd is the lacing is different on each shoe I guess so the BOA tighten and loosen the same direction. 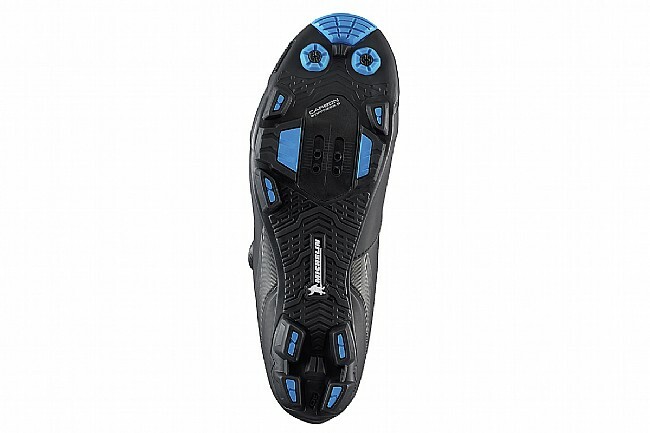 Overall a great shoe stiff and light,I ended up throwing some mtb pedals on my roadie so I can use them all the time! 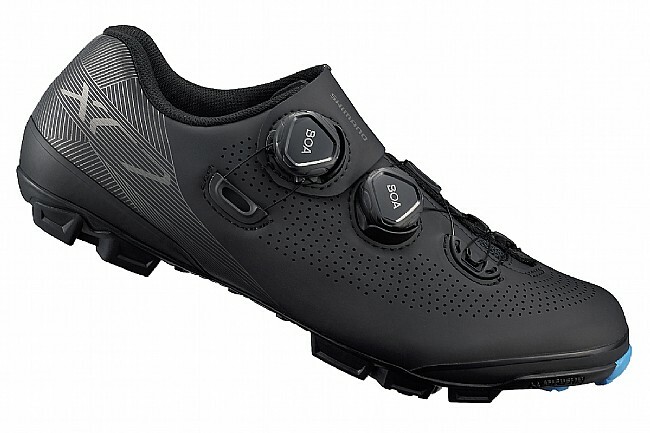 This is a mid-level cycling shoe. It has a composite carbon fiber sole which is between something like a nylon sole and a full carbon sole. So they are a bit heavier than a high end full carbon shoe. I upgraded from a cheaper nylon soled shoe because that shoe was giving me foot cramps when I would do some high intensity cyclocross riding. I'm giving this shoe a very good rating because of it's place on the food chain of shoes. If you want the highest level of performance from your shoe there are more expensive and betterlighter shoes. However, for a value and utility perspective this is a really great shoe that will keep you happy. I also noticed that the shoe has good traction and is comfortable to wear on the cyclocross course, when nothing else is comfortable! If I could ask for something more from this shoe it would be another boa for the front of the shoe instead of the Velcro strap which does not really add too much tightness. Super fit for my wide hoof!